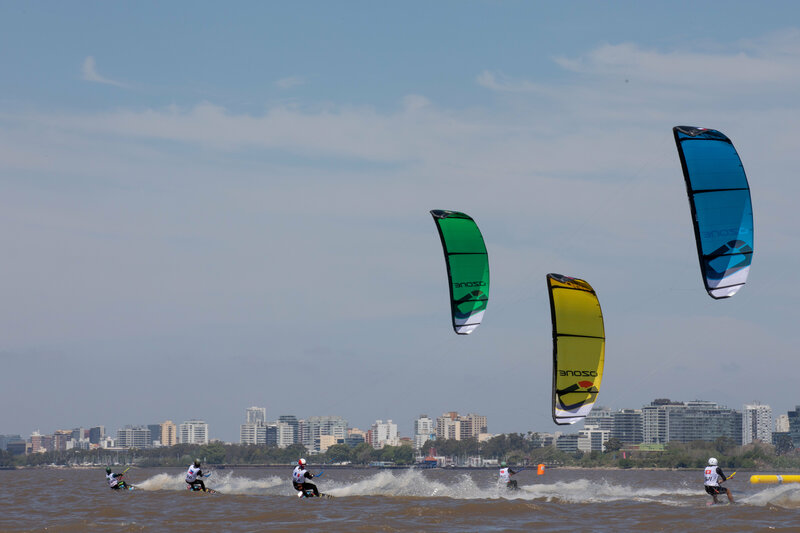 The 24 boys and girls in the Youth Olympic kiteboarding event were able to complete one elimination series race today in gusty and shifty conditions, with the top three of both the Girl’s and the Boy’s fleet remaining the same. 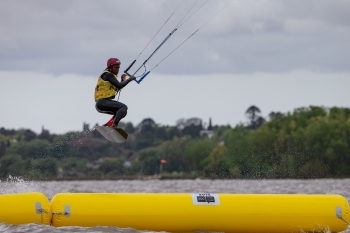 With their medal race scheduled for Saturday, plenty could change in tomorrow’s races. In the Girl’s fleet, another win for Alina Kornelli (GER) gives her an eight-point lead, but the chase for the silver and bronze medals is much closer, with six athletes separated by just seven points. 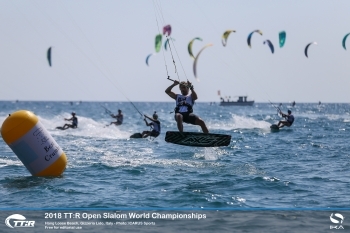 Currently sitting second is Sofia Tomasoni (ITA), who is only a point ahead of Nina Font (ESP) in third. 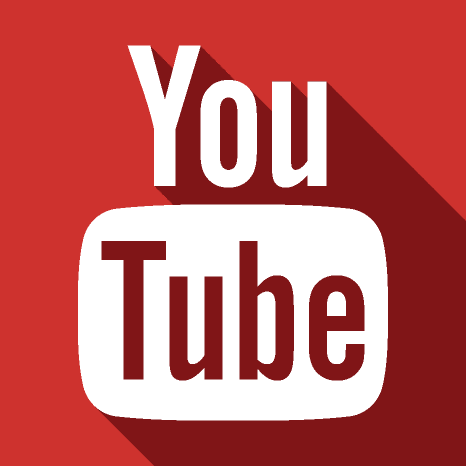 “Today was pretty cold and I struggled with that; I had to race in the Final B, which I won, but I’m not so happy with my results,” said the Italian. 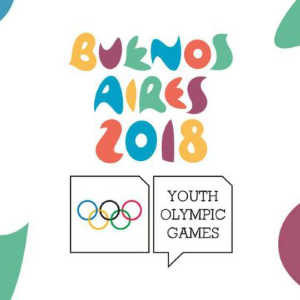 All three classes competing at the 2018 Youth Olympic Games were in action on the second day of sailing at Club Nautico San Isidro, Buenos Aires, Argentina. 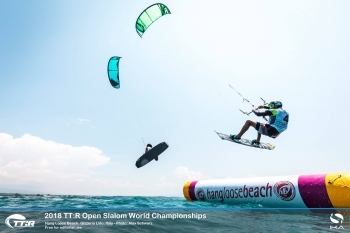 Tomasoni had been playing catch-up after a faltering start, only managing to capture and hold the leaderboard’s top spot on the last day at Gizzeria’s Hang Loose Beach track, picking up her first senior championship crown to add to her previous TT:R Youth Worlds title. Germany’s Florian Gruber was similarly thrilled to claim the crown in the men’s TT:R Worlds division, his third successive title. But his task had proved easier and his assured performances in the high-octane TT:R discipline ensured he dominated and could have sat out the final day and still won. 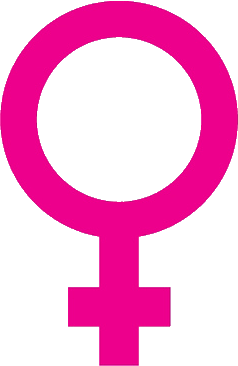 “It might have seemed easy, but it’s always hard,” said Gruber. 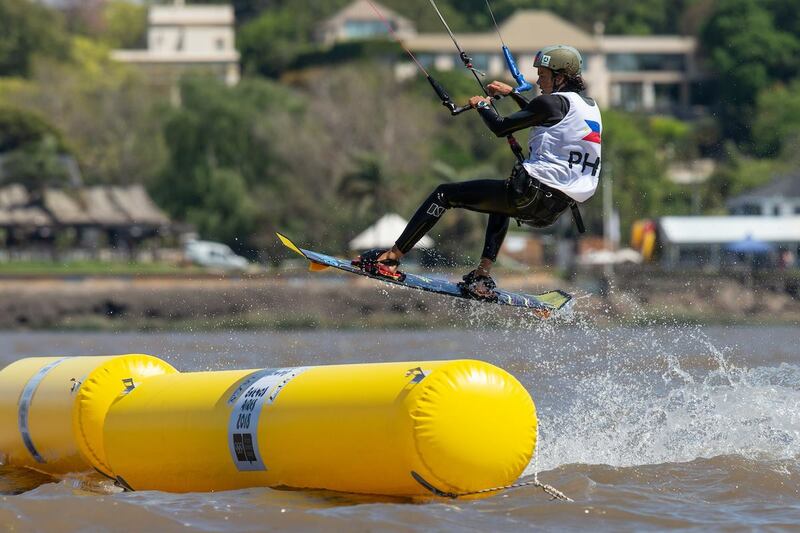 “I had pretty clean racing most of the time and I didn’t make too many mistakes, so I was pretty relaxed. 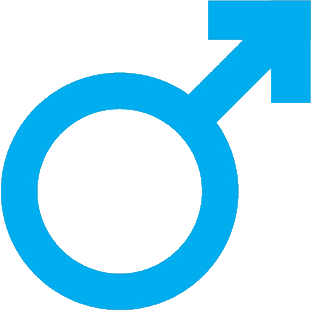 But for sure all the younger kids have got a lot better in the last year because they’ve been training for the Youth Olympic Games [YOG]. 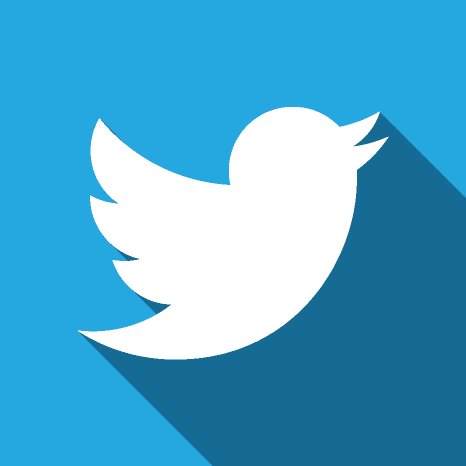 So, I really enjoyed it." 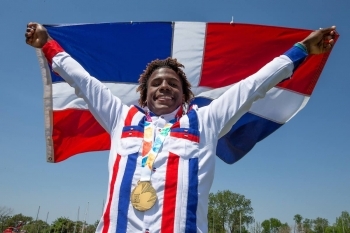 One of kiteboarding’s most exciting prospects, who Gruber did not have to face, is the Dominican Republic’s Adeury Corniel. 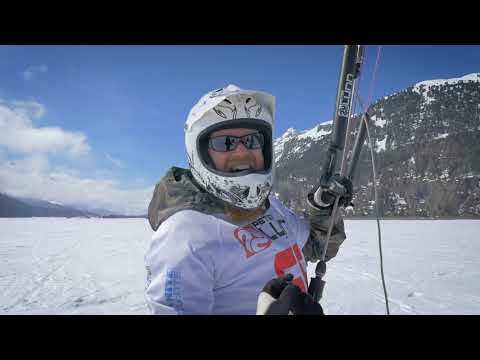 He chose to compete in the TT:R Pump Kite Trophy being run in tandem on the equipment that will be used at October’s YOG in Argentina, where kiteboarding makes its Olympic debut. 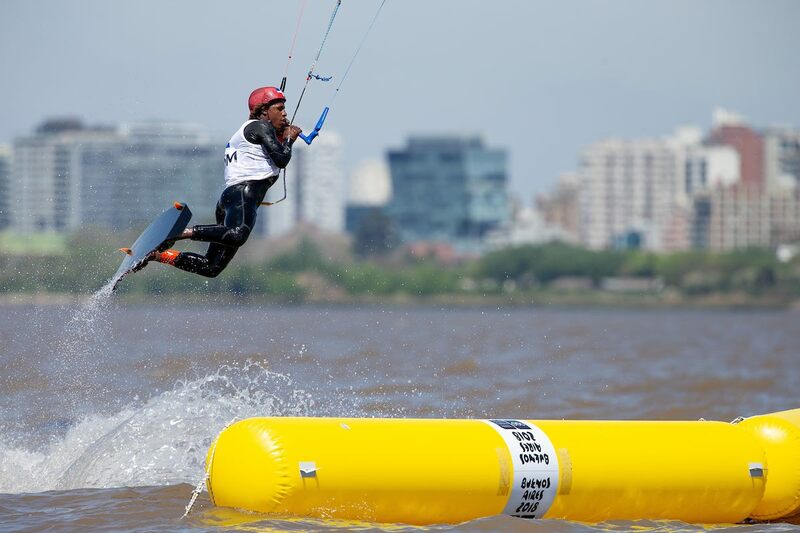 Corniel, the reigning TT:R Youth Worlds title holder, led the men’s Pump Kite division from start to finish and rarely put a foot wrong, winning almost every one of his races and all the vital elimination round deciders. 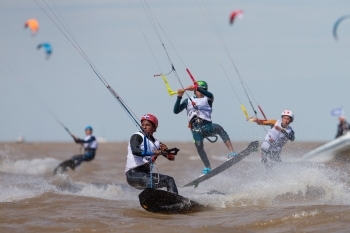 The women’s Pump Kite Trophy was won by Poland’s Oliwia Hlobuczek, who got the better of Russia’s Anna Fedorova and Brazil’s Maria Beatriz Dos Santos Silva in hard-fought racing in moderate breezes that ranged from 10kts to 16kts, occasionally hampered by unseasonal thundershowers. 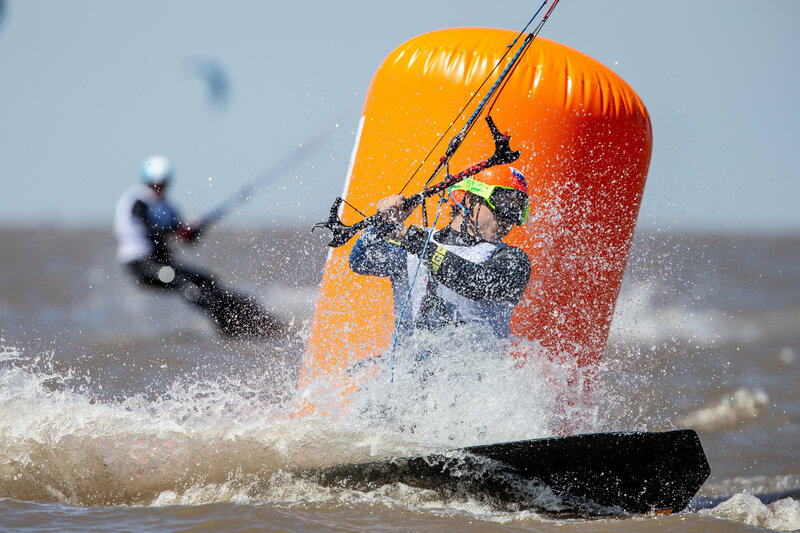 But the spectacularly-quick TT:R downwind slalom format, specially-developed for the YOG in Buenos Aires, has proved particularly popular. 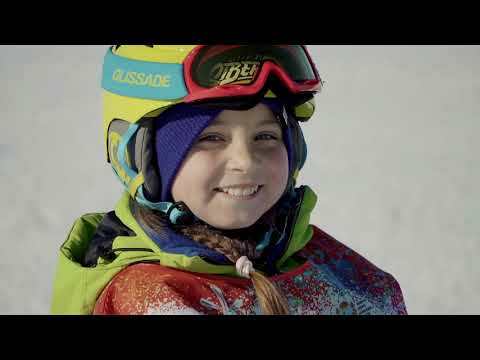 Fifty-nine young athletes from 19 countries and five continents—women making up 40 percent of the field—made the trip to Gizzeria to fight for glory. 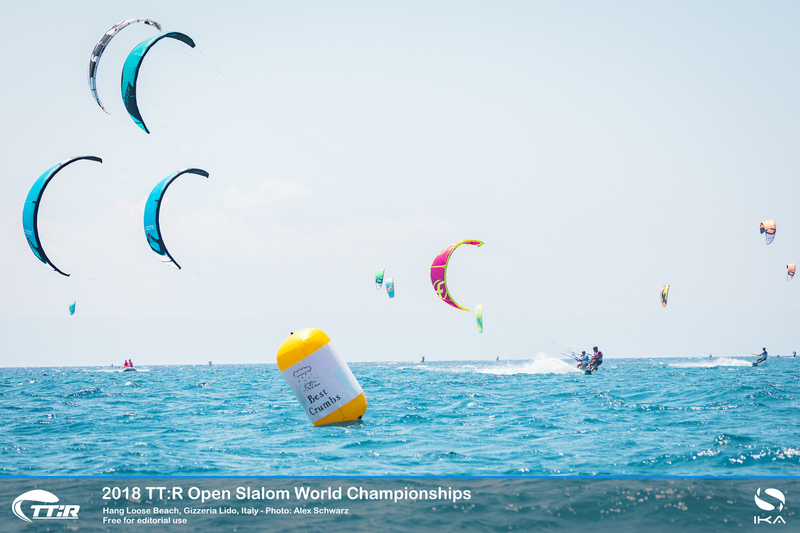 It was in the women’s “open” TT:R Worlds—contested on any kite and any twin-tip board—that the competition was fiercest, with any of the top 10 competitors capable of lifting the crown and a share of the €10,000 prize money. Perhaps the biggest loser was overnight leader, Germany’s Alina Kornelli. 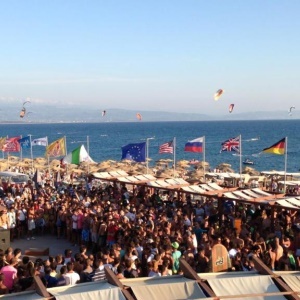 She showed just how difficult it can be to win despite two good days in the middle of the regatta. 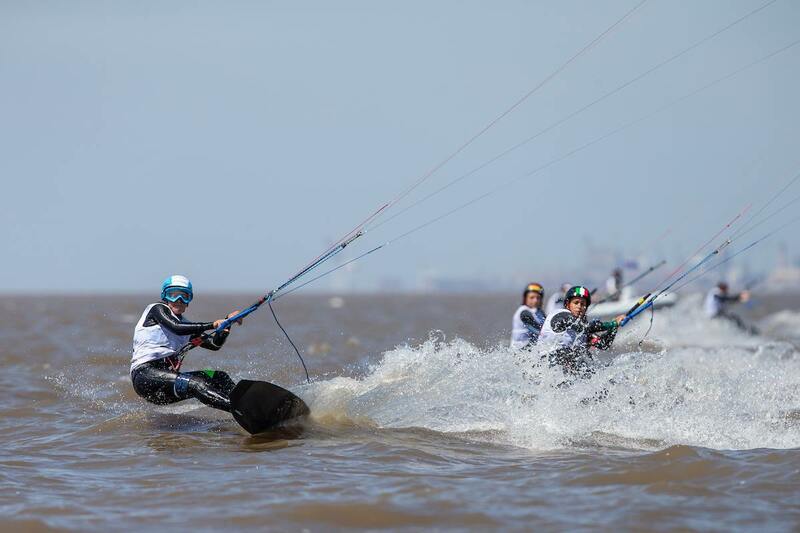 Her points’ lead ebbed away on the last day thanks of two disqualifications for tangles that kept her out of the elimination round deciders and put her down to fifth overall. By contrast, early leader, France’s Poema Newland, had lost ground as the competition progressed after a series of uneven outings. 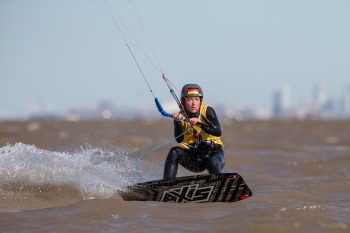 But she regrouped and did enough on the final, tense day of racing to take the second podium spot, leapfrogging the US’s double Formula Kite hydrofoil champion Daniela Moroz, who took third. 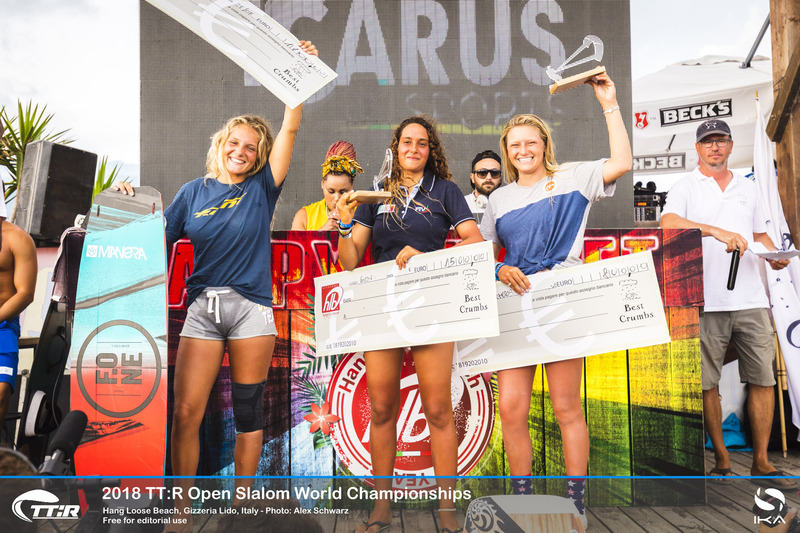 Margins separating the top athletes in the women’s fleet at the fiercely-contested TwinTip: Racing (TT:R) World Championships are so fine that the overall leaders constantly traded places after another day of thrilling kiteboard racing in southern Italy. 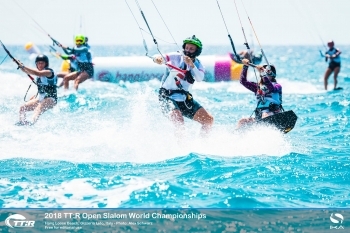 But with two wins in the crucial elimination round deciders, Germany’s Alina Kornelli topped the standings going into the final day of the competition being fought out on the turquoise waters just off Gizzeria’s Hang Loose Beach. On the penultimate fourth day of the exhilarating TT:R Worlds, Kornelli pushed her way up from seventh spot after discovering quicker pace and managing to avoid costly penalties that have dogged many of the other crown contenders in a field packed with talent. 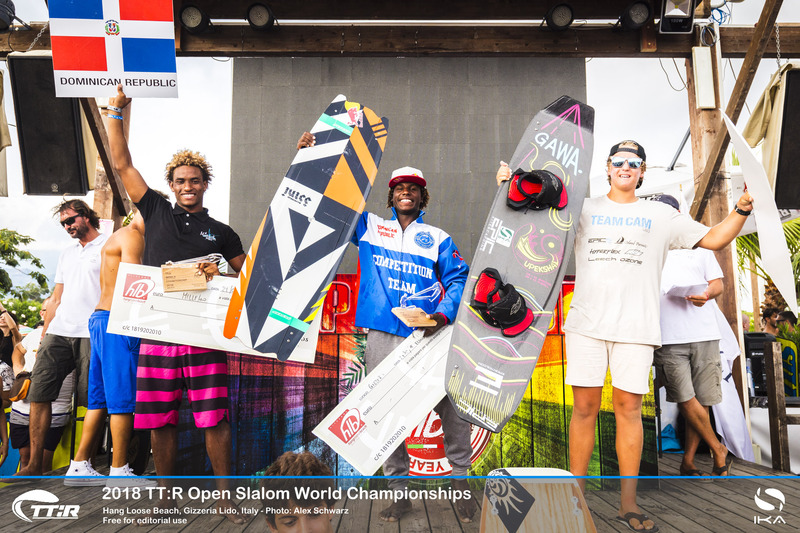 The Dominican Republic duo of Adeury Corniel and Lorenzo Calcaño surged into the lead, capturing the top two spots in the standings after a scintillating day of TwinTip: Racing (TT:R) in light breezes off southern Italy’s Hang Loose Beach. 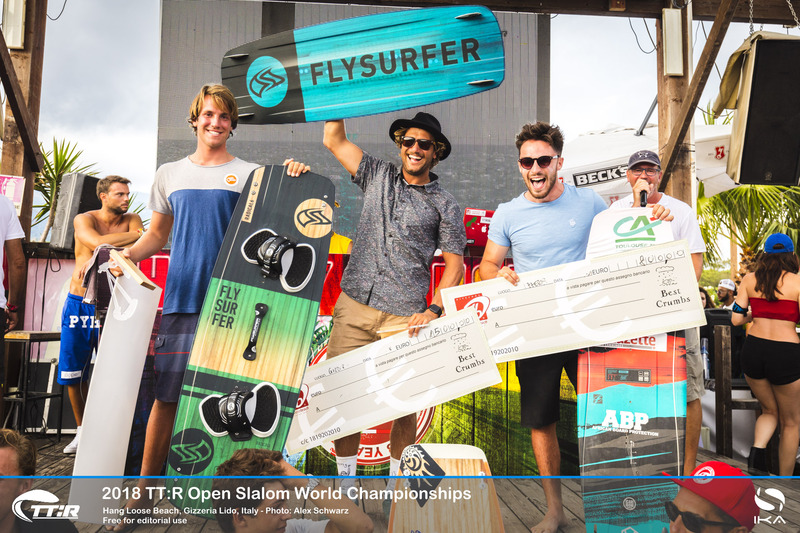 Corniel has barely put a foot wrong, winning every one of his races to cement his top spot on day three of the TT:R Pump Kite Trophy being staged in tandem with the TT:R World Championships on pristine blue Mediterranean waters. Countryman Calcaño moved up the standings courtesy of increasingly quick and consistent performances on the equipment—four “tube” kites and one twin-tip board—that the young athletes will use at October’s Youth Olympic Games (YOG) in Argentina, where kiteboarding will make it inaugural appearance.